Ready Set Learn. Play builds intellectual, social and emotional skills for success in learning and in life. Be Healthy, Be Active. Play promotes physical development and good health. Create, Innovate. Play encourages imagination, creativity and self-expression. Explore, Experiment. Play leads to discovery and kindles curiosity. We believe play contributes to intellectual growth, social and emotional well-being and physical development. We believe play helps develop 21st century workers who are able to solve problems, apply ideas, create, innovate, communicate and connect with others. We believe play unites communities around the critical importance of the childhood experience. We believe play strengthens families. Marbles Kids Museum opened its doors September 29, 2007. After a suspenseful 24-day transformation, the crowd was wowed when we unveiled our new name and new exhibits! 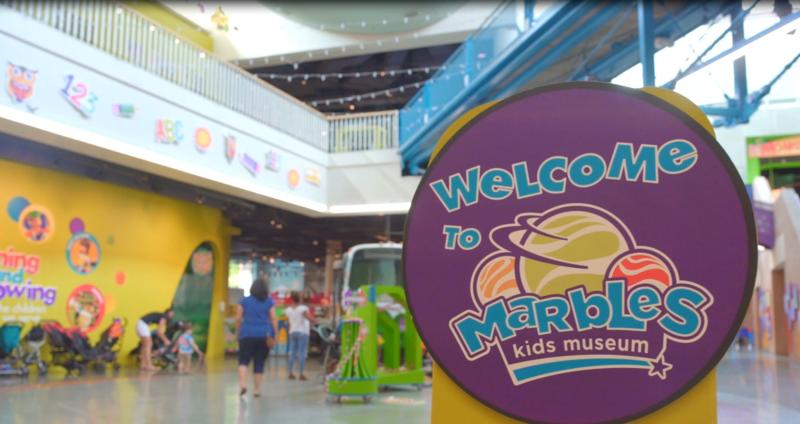 Marbles Kids Museum followed the merger of community organizations Exploris and Playspace. Why Marbles? A wall that wraps around the museum is filled with more than one million marbles that light up at night. And Marbles is a nickname for brains. 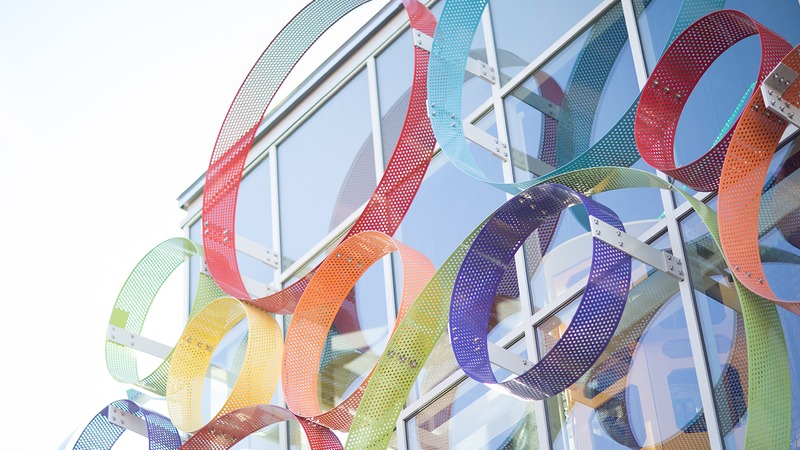 At Marbles Kids Museum, kids are encouraged to use their marbles - learning new things through imagination, discovery and play.